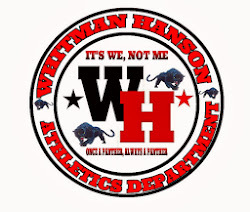 The Whitman-Hanson varsity baseball team defeated Scituate today 7-2. Junior Jim Dolan pitched 5 innings for his fourth win on the mound against no defeats. He gave up no runs on 2 hits, struck out 5 , and walked 3. Seniors John Murphy and Matt Josselyn each pitched an inning in relief as Scituate scored 2 runs in the sixth. Seven players hit safely for Whitman-Hanson, with Dolan's bases loaded double in the fourth inning breaking the game open. Dolan had 3 RBIs on the day, and Luke Tamulevich, Ethan Phelps and Tyler Long each had one. Senior Tyler Long was again outstanding on defense at third base, including turning a 5-4-3 double play in the fifth inning.